The logo concept is drawn from the name "Iris", which itself means Rainbow in Greek. According to Christian mythology rainbow represents the everlasting promise between God and all living things on Earth. 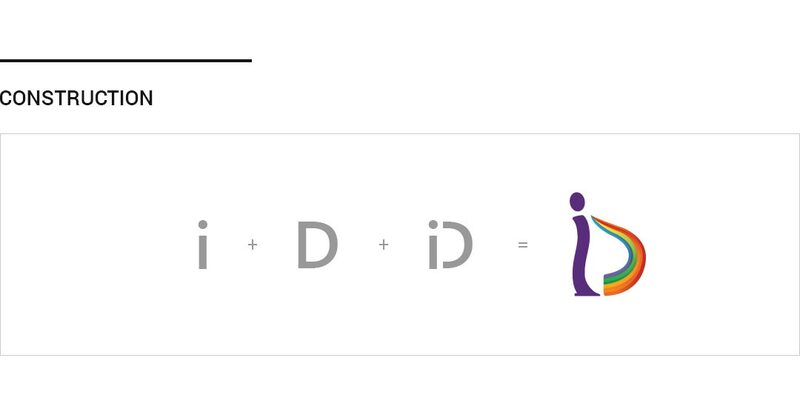 Getting inspiration from this myth, the logo is made using the first two letters of the brand where "I" stands for God and "D" indicates the Rainbow. As in the myth, brand's aim is also to promise the best deals ever. This simple and clean logo design shows vividness, guarantee and sureness of the brand.